We are engaged in offering quality control panel & fire alarm accessories that meets the demands of various industries across the globe. These are available in various shapes, sizes and models as per client’s specifications. Known for their excellent quality, dimensional accuracy and high efficiency, these are highly demanded by our clients spread worldwide. 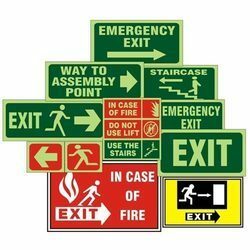 Our wide range includes fire alarm accessories, fire alarm control panels, wireless smoke detector, led display board, fire alarm hooter, manual call box. 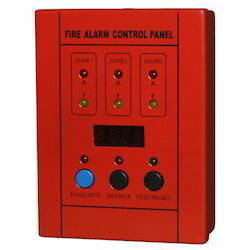 Our range of fire alarm control panels is available in 2 and 4 loop standard models. These fire alarm control panels are manufactured from quality-tested components and operate in a network of 32 panels or repeater panels. Known for its high quality and utility these fire alarm control panels are highly demanded by our clients spread worldwide. Looking for Control Panel & Fire Alarm Accessories ?